I have always loved production studio’s SHAFT background art style in animes like: Bakemonogatari, Puella Magi Madoka Magica, and Ef: a Tale of Melodies. 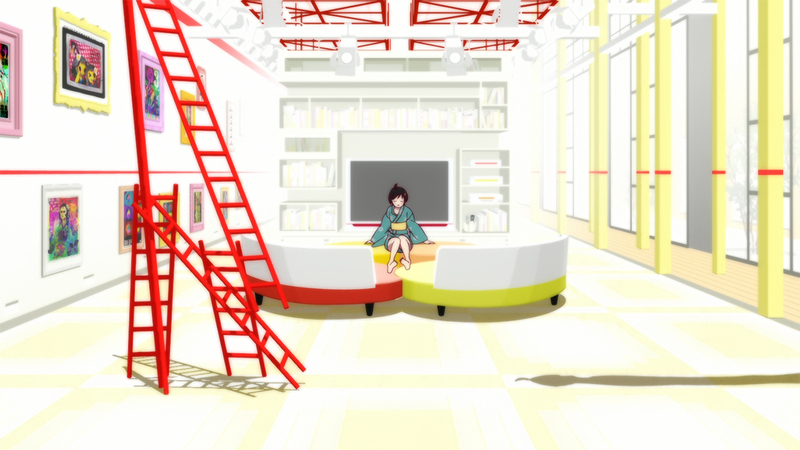 Particularly, this scene was from one of SHAFT’s latest works – anime called Nisemonogatari. 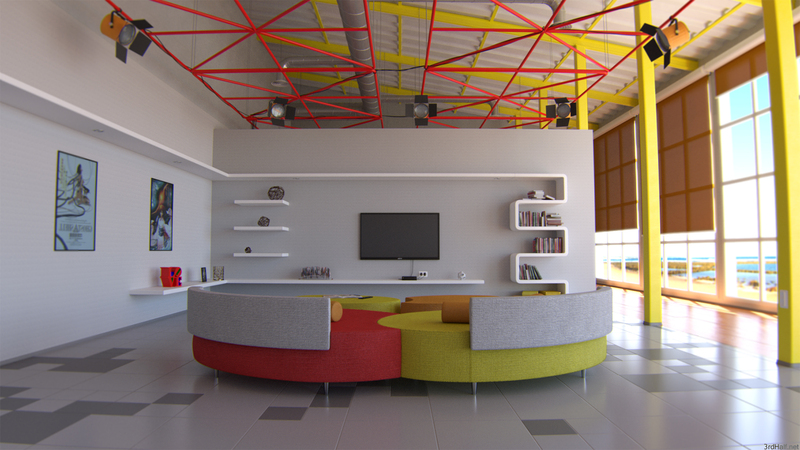 The scene was created with 3ds Max and it took me almost two months, from idea to final render. 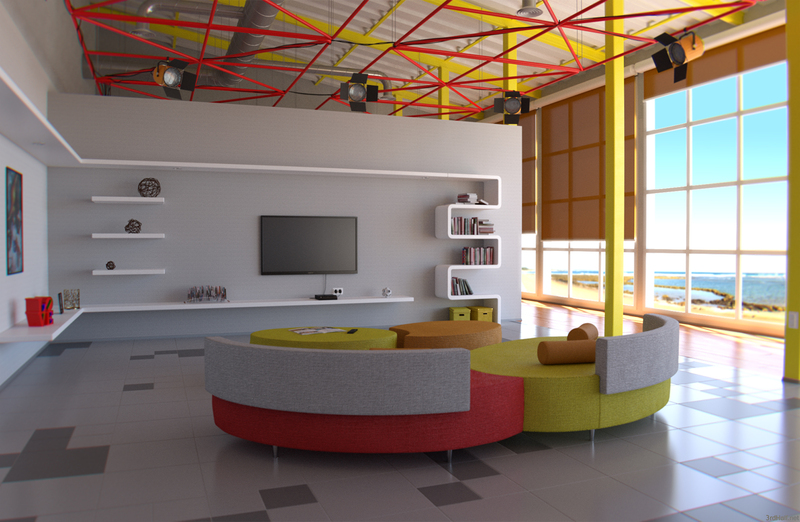 I usually like to render interiors with MentalRay, but this time I tried to use Iray. 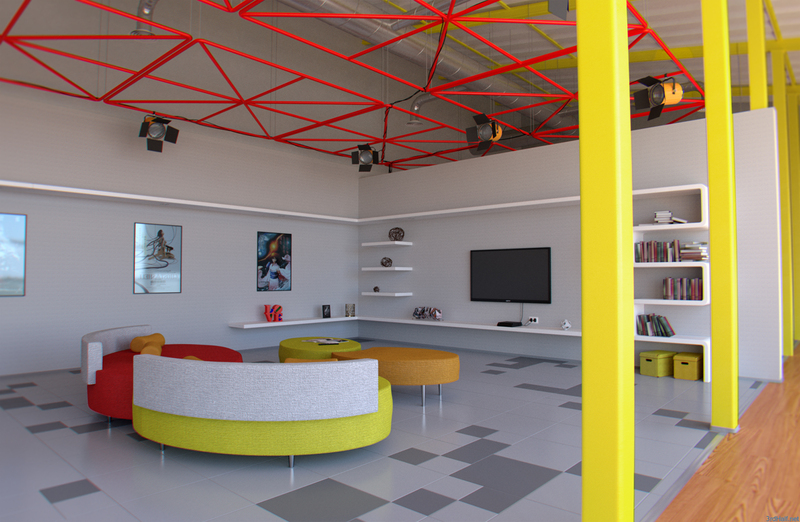 Overall I am pretty satisfied with Iray’s performance and ease of use. The only thing that stops me from regular use of it, is the lack of possibility to separate render passes, that reduces scene’s flexibility in post. this is epic! I love nisemonogatari and bakemonogatari!! Epic I say! Should have made the cushions made out of something that didn’t look like wicker.